Randomly got around 30 new subscribers yesterday. Welcome, dudes! So I am guessing he is a vampire? It would only make sense…. I should probably stop watching True Blood. I hear that show is awesome. I need to start watching it. I’m gonna have to agree with you on that. I especially enjoy writing infidelity strips as well. 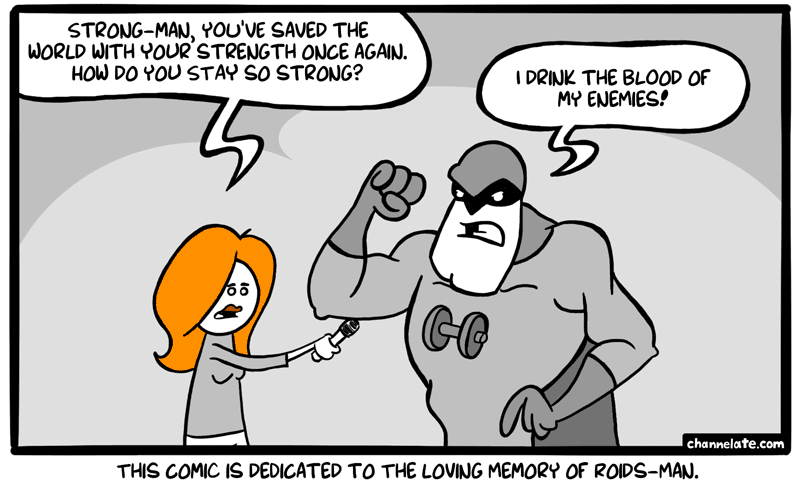 I’m sure Strongbad has ingested blood before. Just look at him. Where is Creatine-Kid when you need him? The previous days of captain aids…. such a sad story..
That guy is totally creative :D..well spoken, Corwin..